The InDyne Cook Team was the big winner at the Second Annual Eggs on the Beach BBQ Competition, taking both the Judges Award and People’s Choice Award. Presented by Bay Breeze Patio, Eggs on the Beach celebrated foods cooked on the Big Green Egg. More than 25 cook teams competed, presenting their best recipes, on a beautiful Saturday at Seascape Resort. Emerald Coast Theatre Company earned second place for People’s Choice and was the highest ranking non-profit team, earning $500 toward their cause. 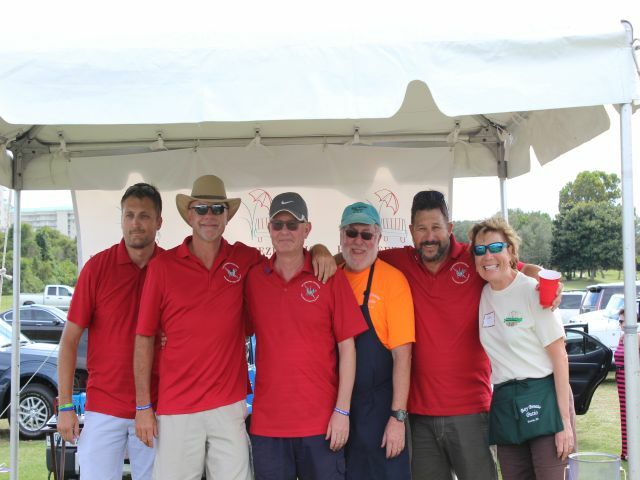 In third place, Snorri’s Tandoori were competing on behalf of the Air Commando Association Foundation and earned recognition for Snorri’s popular ethnic dish prepared on the Big Green Egg. The InDyne Cook Team was the “People’s Choice” winner in 2014 and returned, proving they had not lost their edge. 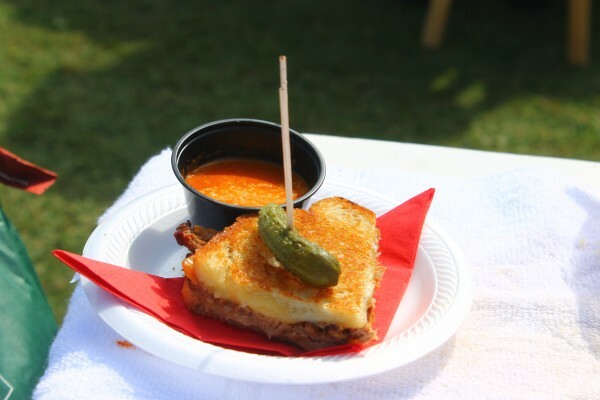 Team members, Christopher Brown, David Hobbs, Dana Cail and Michael Pare, tried dozens of dishes before agreeing upon a grilled cheese brisket with side of smoked tomato soup. 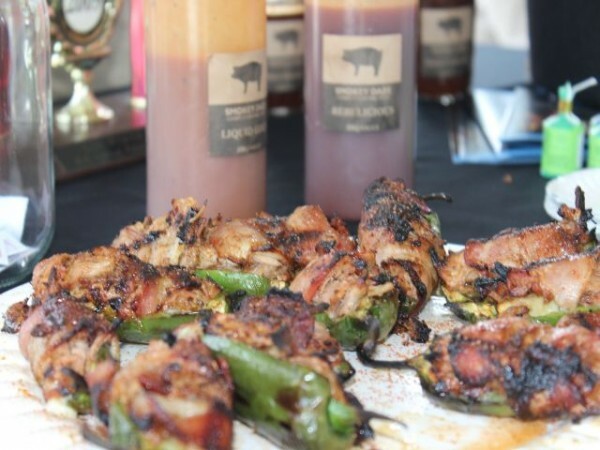 The dish, the ultimate “comfort food,” was a crowd pleaser, earning People’s Choice Grand Prize—a large Big Green Egg as well as the Grand Champion Trophy from the Celebrity Judges. Emerald Coast Theatre Company showed their involvement was no act. 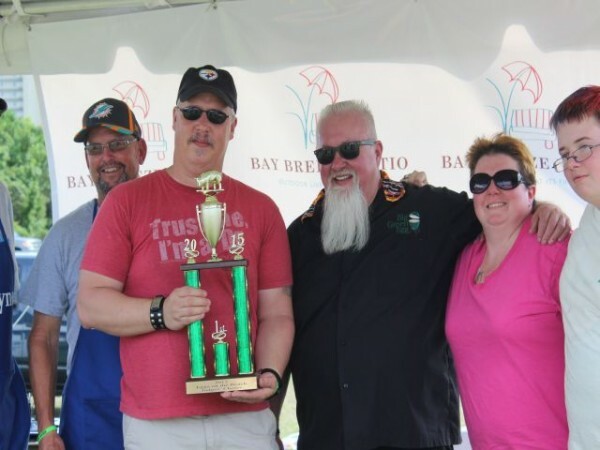 Cook team members, Nathanael Fisher, Sherry Londe, Tom Graham and five time cooking champion Dr. Mendy Graham, worked as a team to present an elaborate, flavorful stuffed jalapeno dish. The jalapeno boat was topped with granny smith apple and Gouda cheese as well as slow smoked pulled pork marinated in Dr. Graham’s homemade sweet BBQ sauce. The dish was grilled to perfection on the Big Green Egg and then drizzled with sauce and sprinkled with Gold Dust (Dr. Graham’s own BBQ rub). Tasters could then enhance flavors by adding more of the homemade sauces, choosing from Sweet Smokey, Hot Smokey, Rebelicious (vinegar based), or Liquid Gold (mustard based). 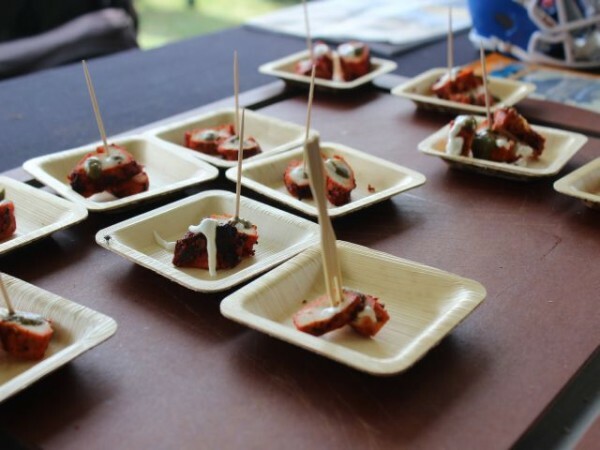 The Snorri’s Tandoori cook team included Nic Dezinski, Michael Agin, Joseph DeCarlis and Snorri Gislason who presented Snorri’s backyard favorite, Tandoori. Snoori regularly makes Tandoori in his backyard on the Big Green Egg and friends and neighbors agree the dish is divine. The Indian dish, which is wildly popular in South Asia and the Middle East, consists of roasted chicken prepared with yogurt and spices. 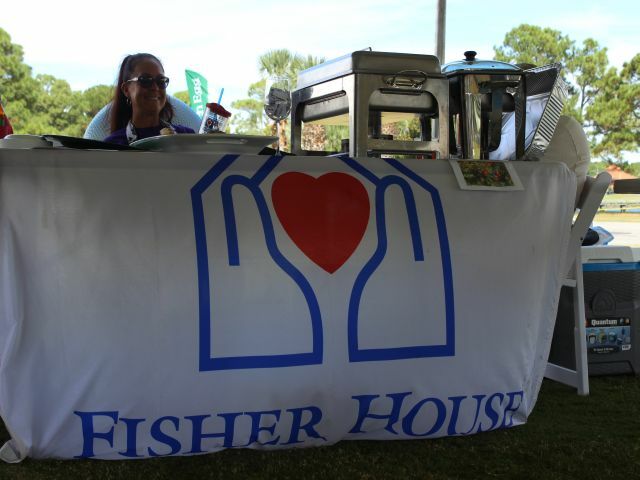 All proceeds from Eggs on the Beach will benefit the Fisher House of the Emerald Coast. Located on Eglin Air Force Base, the Fisher House provides a “home away from home” for military families so the family can be together during treatment for serious illness or physical/occupational therapy. The 3rd Annual Eggs on the Beach will be held in September of 2016. 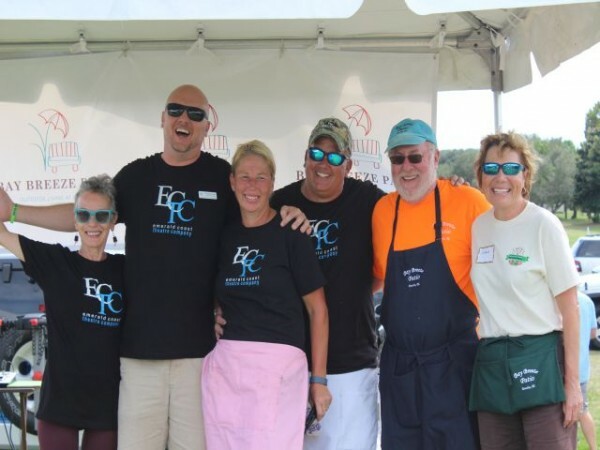 Learn more about South Walton’s EggFest at www.EggsontheBeach.com.